With the Mercedes-Benz C 220, you're in the driving seat. Sleek and sporty, this impressive vehicle is a true driver's car. My Next Car is a leading supplier of quality pre-owned vehicles and if you're in the market, be sure to view our complete range here on the website. Along with executive saloons and sporty cabriolets we stock compact city cars, spacious MPVs and everything in between. 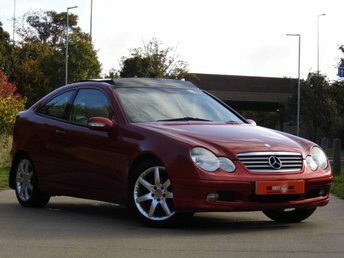 Feel free to get in touch with a member of the team to discuss your individual requirements and to arrange a test drive in one of our used Mercedes-Benz C 220 cars in Sandy.